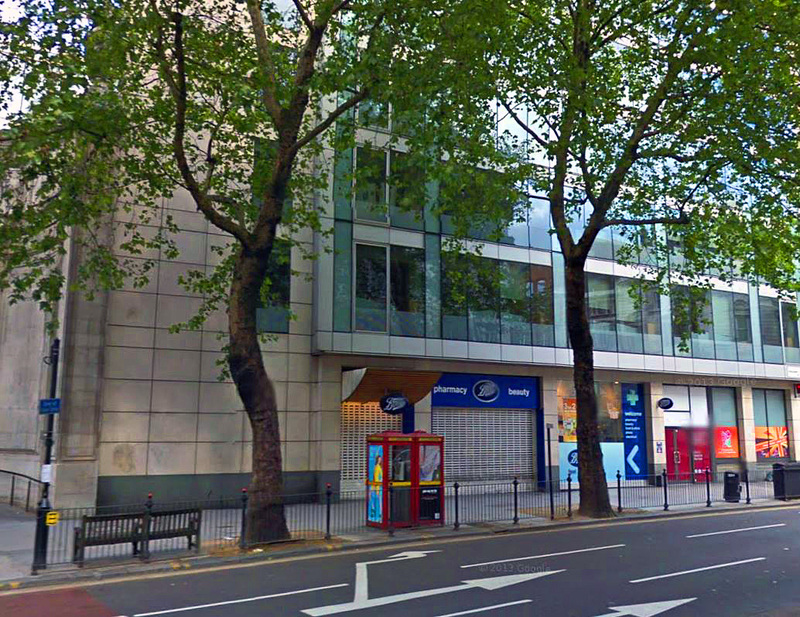 Now covered by a modern office block and a Boots chemist shop, 129 Kingsway was once home to a branch of Midland bank, the basement of which harboured a recording studio. 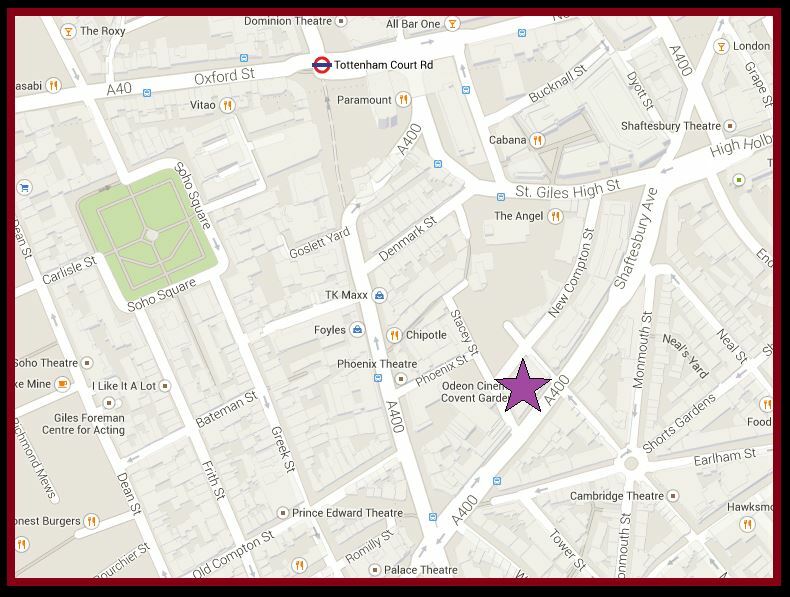 Originally established by advertising firm, SH Benson as a workshop for capturing voice overs and catchy jingles, the studio was acquired in the 1960s by Major Jacques De Lane Lea; a French intelligence attaché who ran a side-line dubbing English films into French. 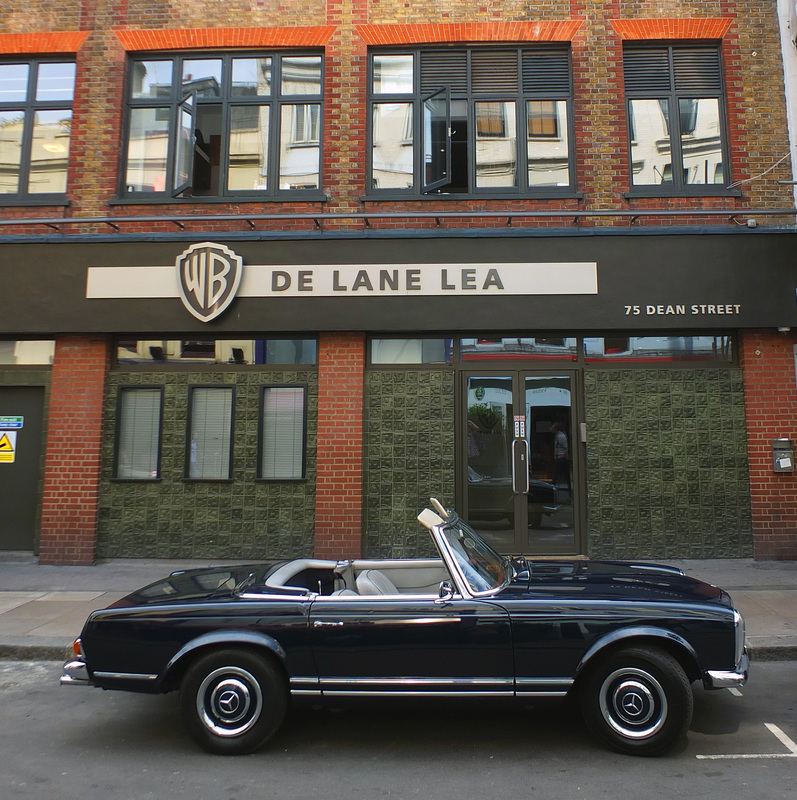 In 1965 De Lane Lea expanded his facilities considerably, installing a top of the range sound desk which soon began to attract some of the greatest names in music. 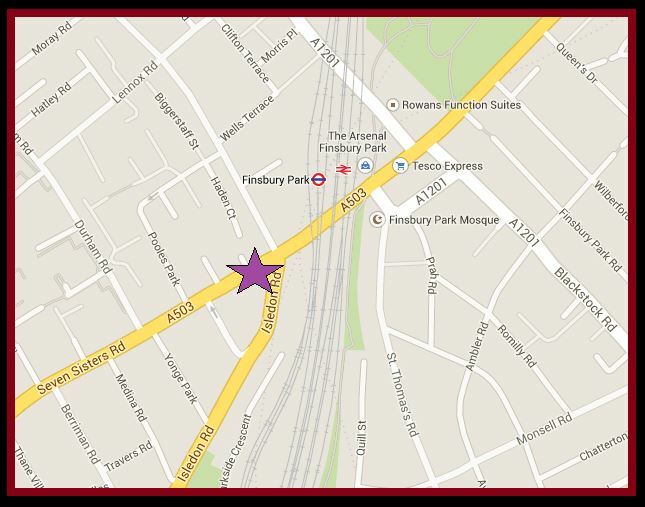 Jimi Hendrix’s manager, Chas Chandler was familiar with the subterranean studio having worked there during his time with The Animals, and on 23rd October 1966 he brought Jimi Hendrix, Mitch Mitchell and Noel Redding to De Lane Lea Studios for the Jimi Hendrix Experience’s very first recording. 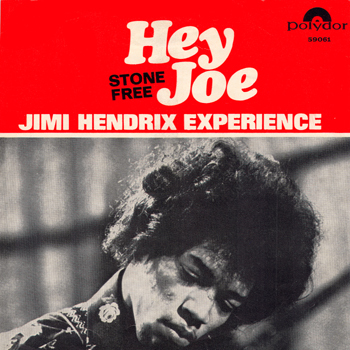 During the session, the tracks, ‘Hey Joe’ and ‘Stone Free’ were laid down. 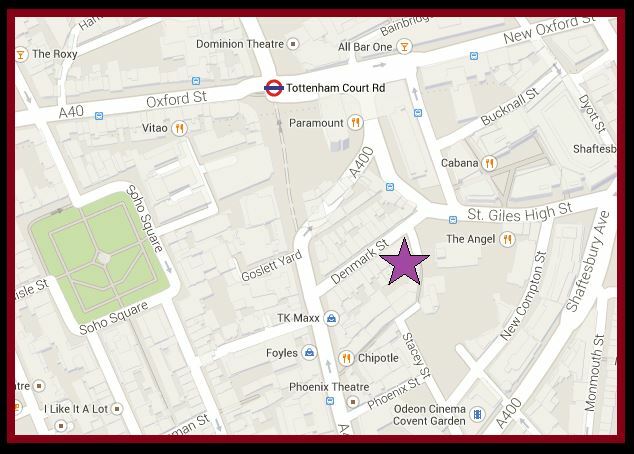 Although the Kingsway facility has long since gone, De Lane Lea lives on at 75 Dean Street, Soho. 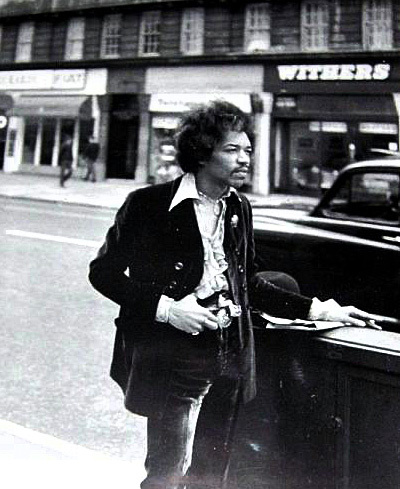 During the rare occasions when he wasn’t rehearsing and gigging, recording or partying, Jimi Hendrix took great pleasure in exploring London’s streets which he likened to a “storybook”, and took particular inspiration from the city’s parks, statues, churches and stained glass windows. 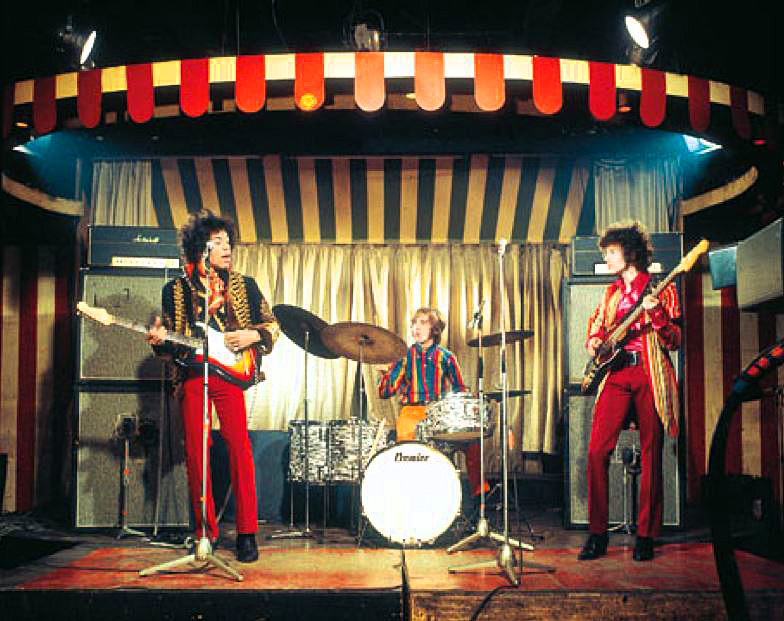 The Jimi Hendrix Experience played four gigs at the club, the first of which took place on the 24th January 1967. 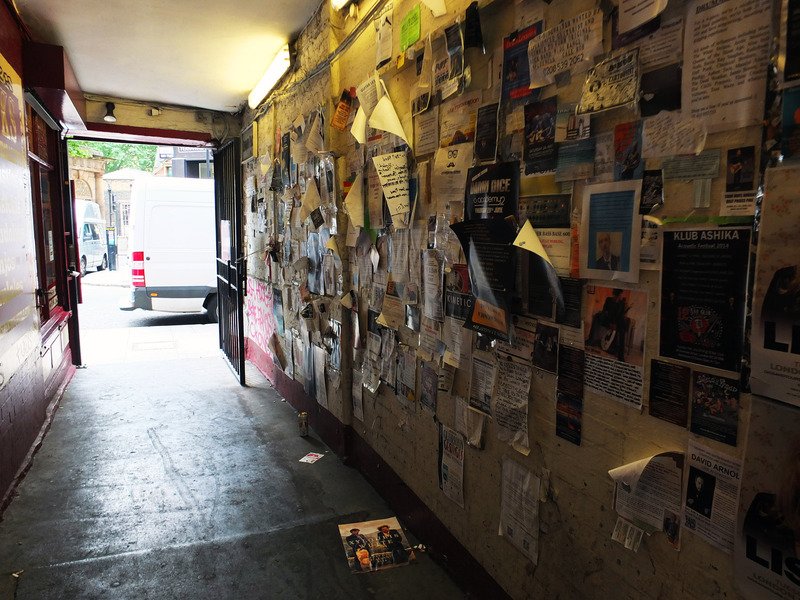 By this point, Jimi had developed a cult following and the queue to see him stretched all the way along Wardour Street, out onto Shaftesbury Avenue and up towards Cambridge Circus. 1,400 lucky people managed to squeeze into the club that night; a record for the time. 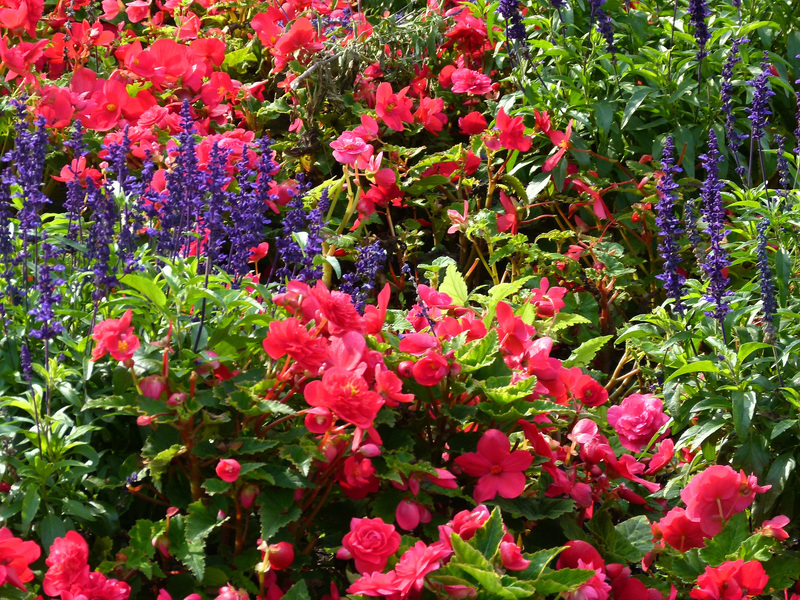 Naturally The Beatles, The Rolling Stones, Eric Clapton and Jeff Beck were all on the guest list. 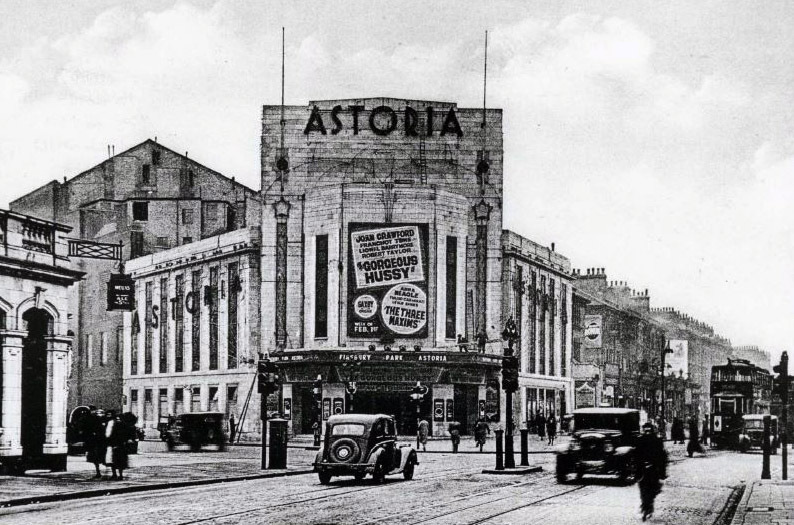 When it opened in 1930, the Finsbury Astoria was one of the largest cinemas on the planet. 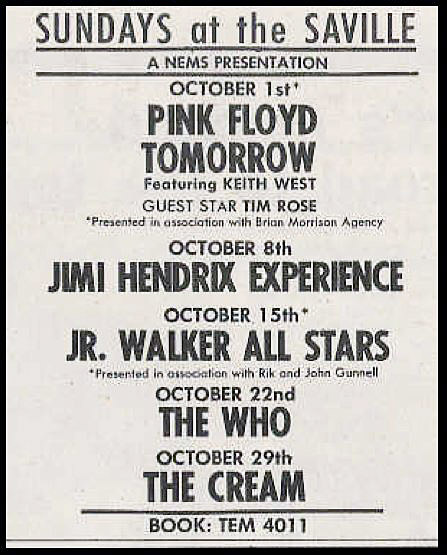 As well as offering films, the north London venue was also staging major concerts by the 1960s. 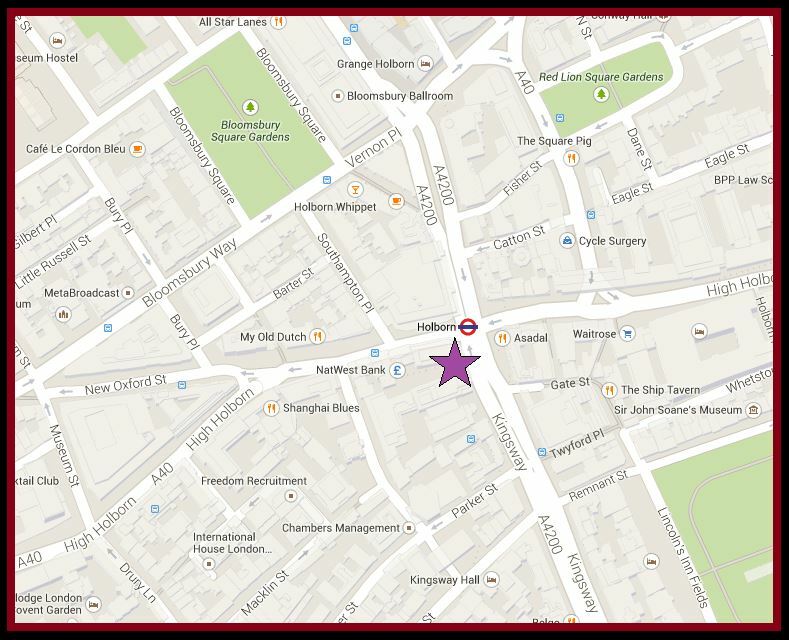 The Jimi Hendrix Experience wowed the crowd here on the 31st March 1967, and at the end of the set Jimi carried out the ritual of setting fire to his guitar on stage for the first time. 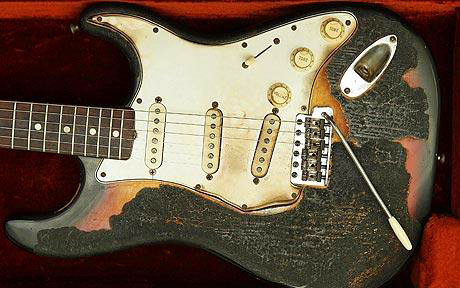 Although scorched, the guitar (a 1965 Fender Stratocaster) wasn’t completely destroyed that night and was salvaged by press officer, Tony Garland who stashed the instrument away in the garage of his parents’ Sussex home…where it was quickly forgotten. 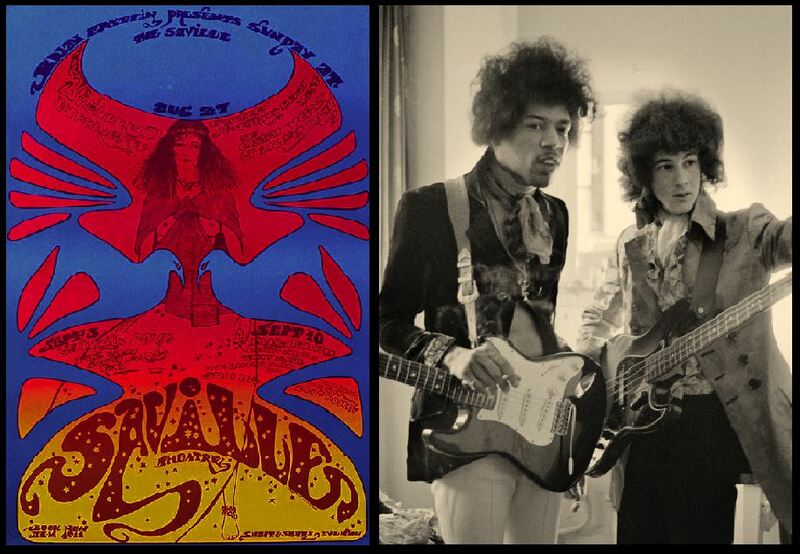 Rediscovered forty years later by Tony’s nephew, Jimi’s old guitar was auctioned at a Shoreditch gallery in 2008 where it fetched the handsome sum of £280,000… not bad for a piece displaying signs of fire damage! 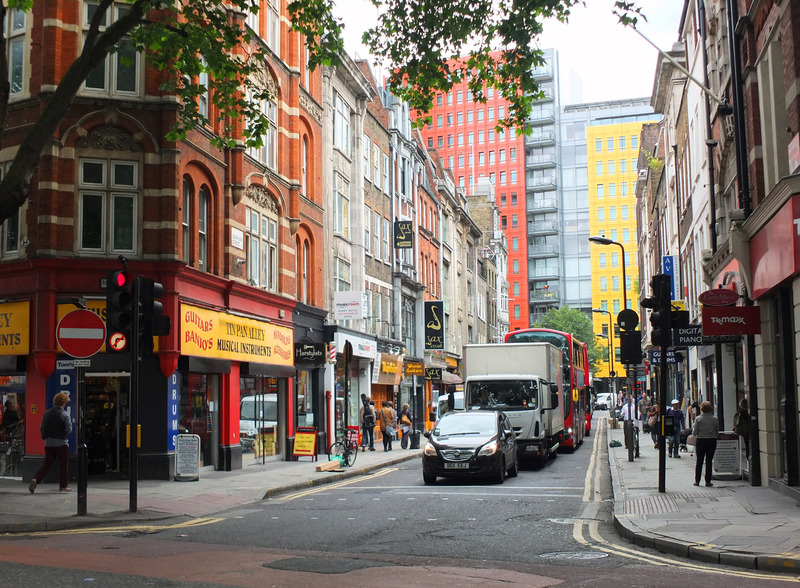 With its numerous music shops and bohemian hangouts, Denmark Street– or ‘Tin Pan Alley’ as it’s also known- has been closely associated with the entertainment biz since the 1900s. 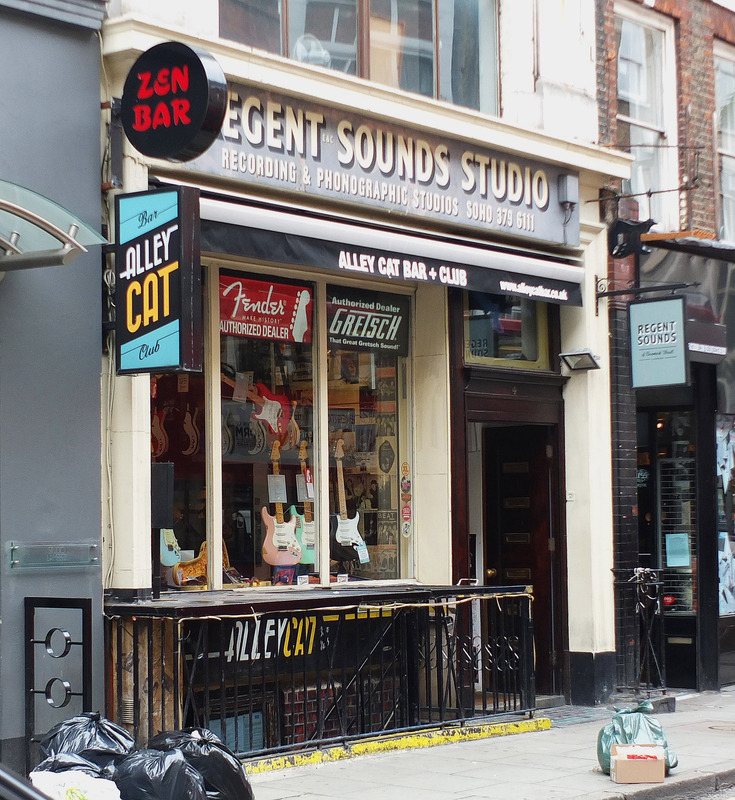 One of Denmark street’s stalwarts is Regent Sounds Studio which was established in the 1950s by Ralph Elman and taken on in 1961 by James Baring, an eccentric old Etonian and enthusiastic supporter of emerging pop acts. 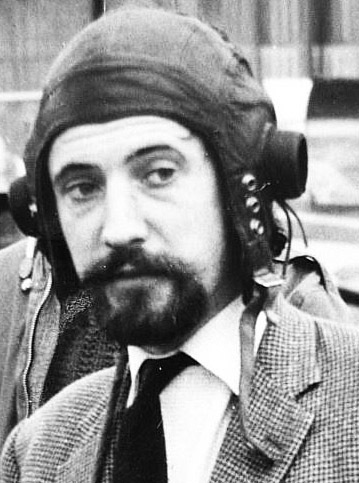 James Baring… in his pilot gear! 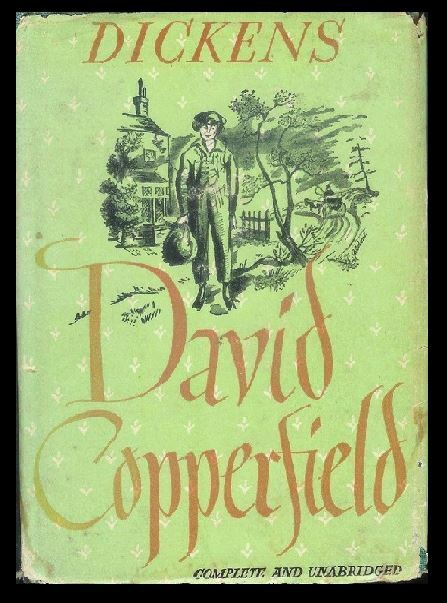 Conditions in the early days were cramped and makeshift. 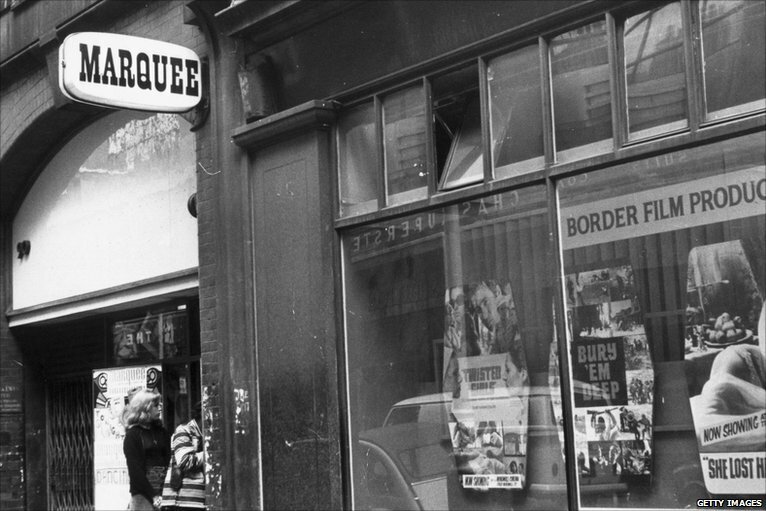 When The Rolling Stones recorded their first album here in 1964 for example, the studio was sound-proofed with cardboard egg-boxes stuck to the walls! 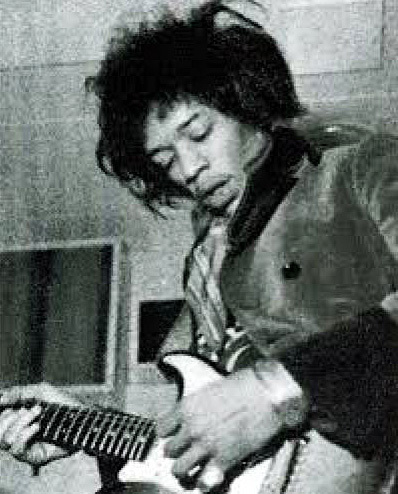 Jimi Hendrix, Mitch Mitchell and Noel Redding attended Regent Sounds over several days in October 1967 to rehearse and lay down some demo tracks. 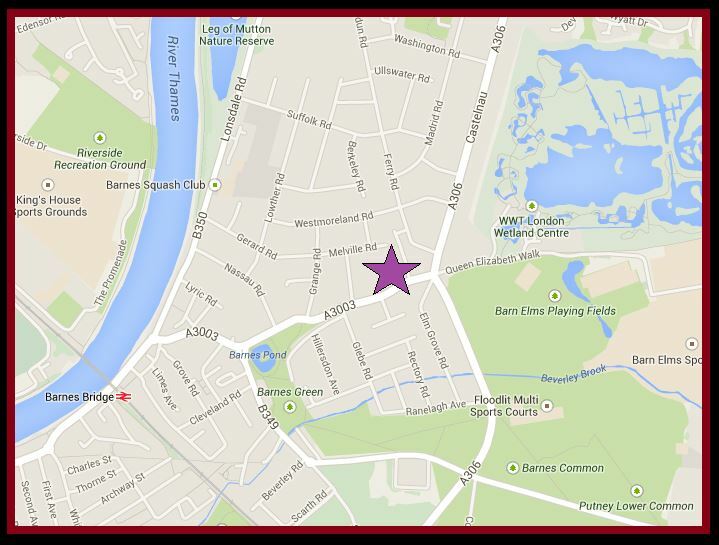 Although Regent Sounds had accommodated many bands and musicians, it had never handled the likes of the Jimi Hendrix Experience before and on the 26th October staff at the neighbouring Labour Exchange lodged a complaint, stating that Jimi’s guitar riffs were so loud they could no longer hear themselves speak! 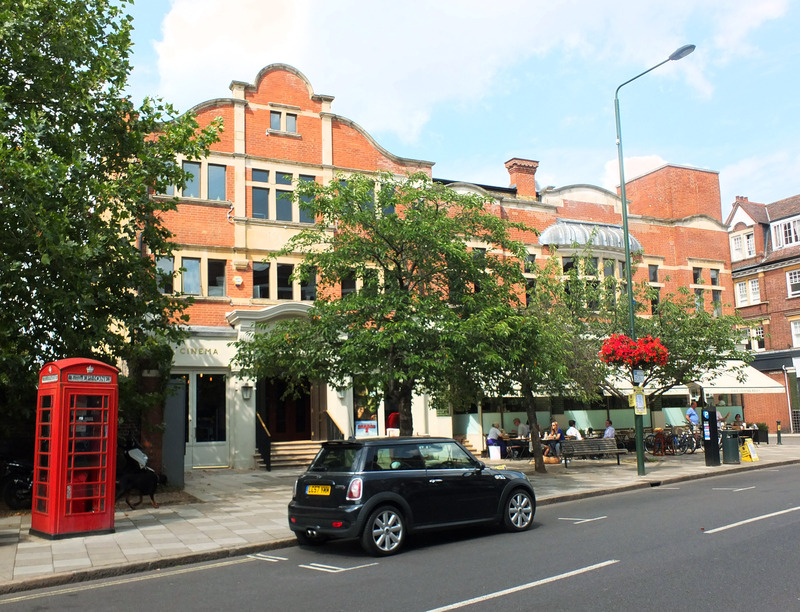 Olympic Studios in leafy south-west London was originally opened as a theatre in 1906 and later switched to a cinema. 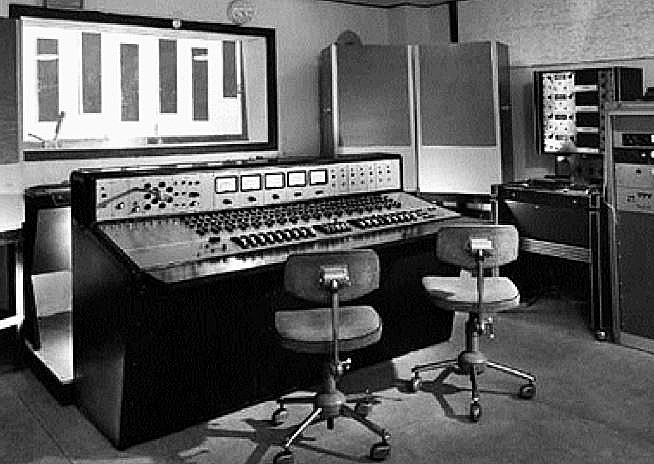 In the 1950s the building was converted into a recording studio which, along with Abbey Road Studios, became one of the UK’s most important in the 1960s. 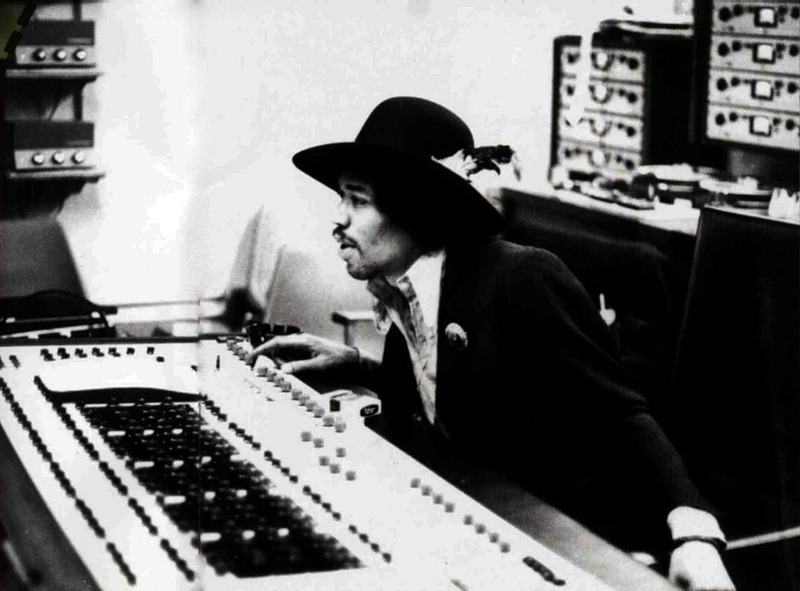 The Jimi Hendrix Experience worked on all three of their studio albums- Are You Experienced (recorded between October 1966 and April 1967), Axis: Bold as Love (between May and October 1967) and Electric Ladyland (December 1967 to August 1968) at the Barnes-based studio. The Experience made a wealth of other recordings at Olympic, many of which have yet to see an official release. 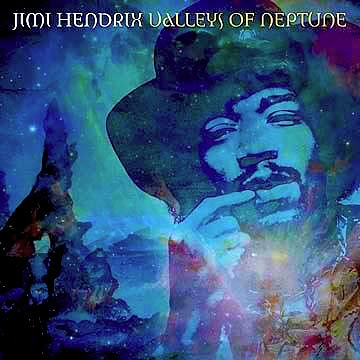 One batch, collected under the title, The Valleys of Neptune was finally made public in 2010. 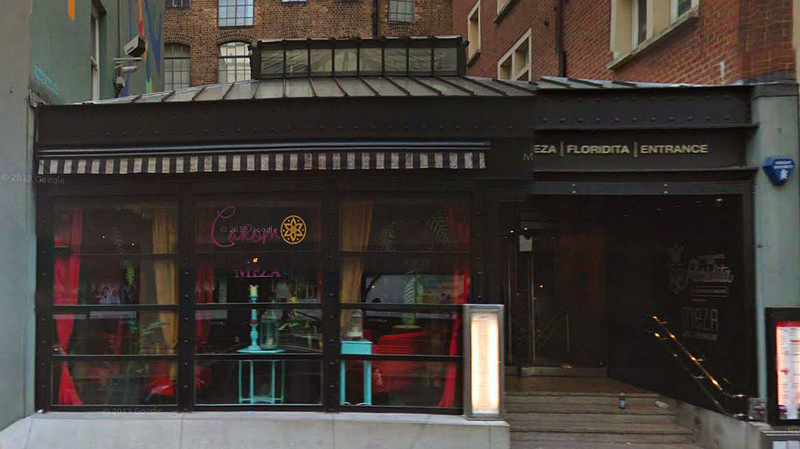 Today, Olympic Studios has returned to its former role as a cinema and also boasts a fine café and dining room. 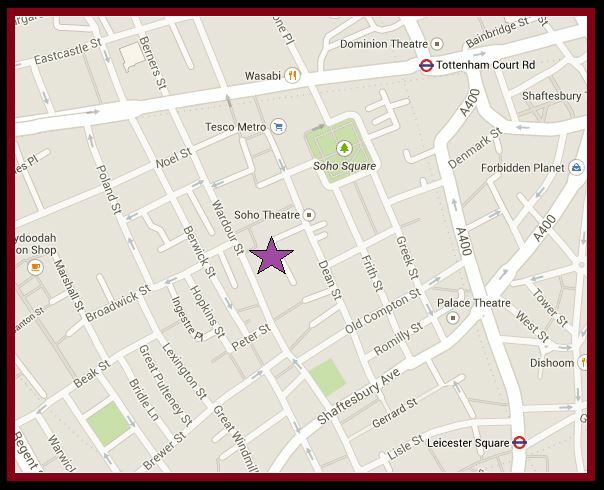 When it opened in 1931 the Saville Theatre was one of London’s plushest venues and boasted seating for over 1,400 people. 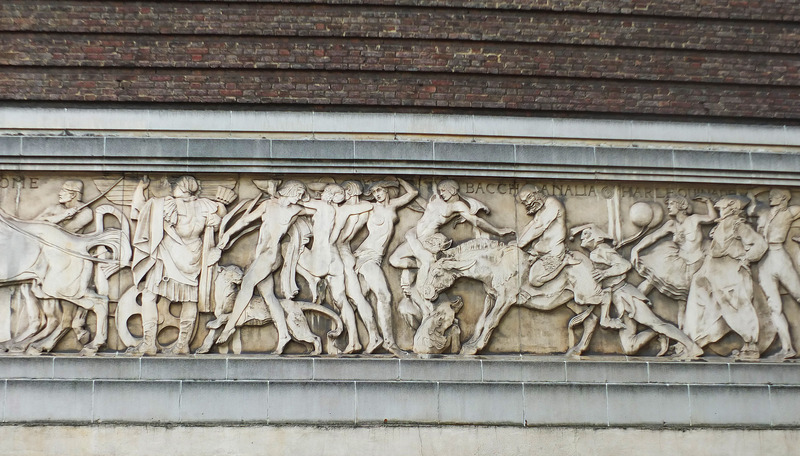 One of the theatre’s original features- a grand frieze entitled ‘Drama Through the Ages’ by Gilbert Bayes– can still be viewed high up on the venue’s facade. 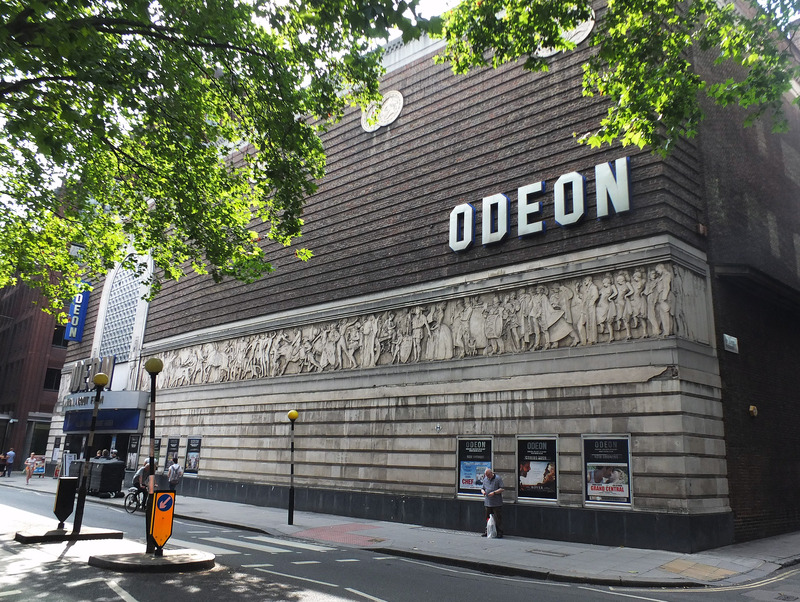 In the mid-1960s, Beatle’s manager, Brian Epstein initiated ‘Sunday Night at the Saville’; a weekly event in which the theatre was handed over for the showcasing of popular music acts. 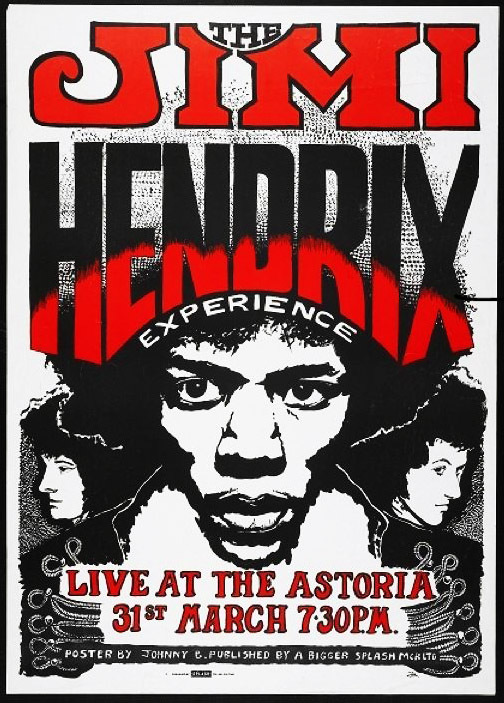 Many of the concerts became pretty rowdy- when Chuck Berry (one of Jimi Hendrix’s idols) appeared for example, the excited audience stormed the stage and police had to be called to restore order. 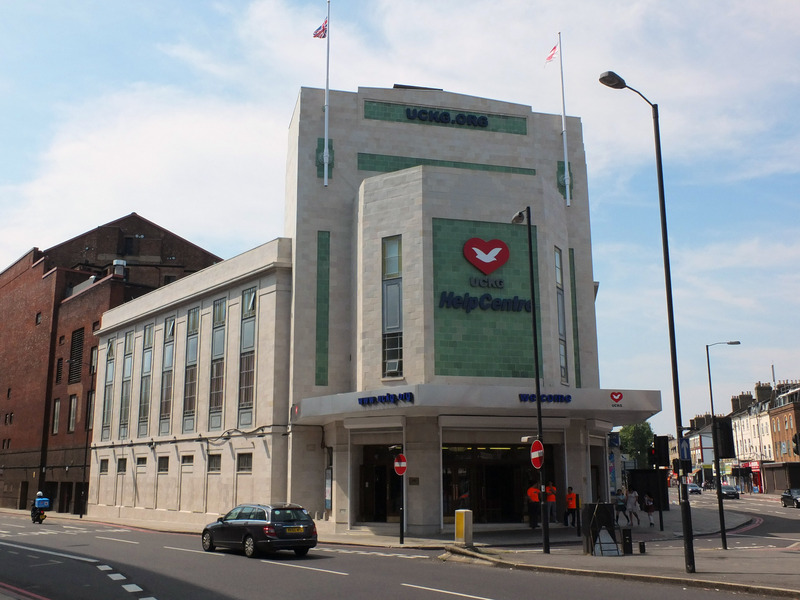 Pink Floyd, The Move, Procol Harum, Fairport Convention,The Who,The Bee Gees and many more all appeared at the theatre, whilst The Beatles used the stage for filming their promo to ‘Hello, Goodbye‘. 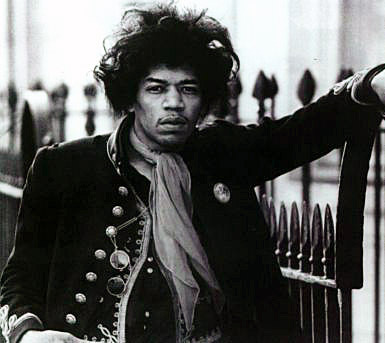 The Jimi Hendrix Experience treated audiences to a number of electrifying performances at the Saville throughout 1967. 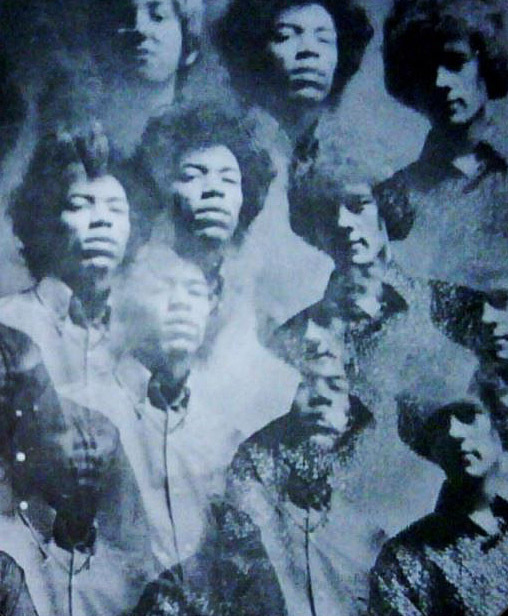 On the 4th June 1967 and with The Beatles in attendance, Jimi paid tribute to his friends with a cover of Sergeant Pepper’s Lonely Hearts Club Band– an extraordinary gesture considering the track and album of the same name had only been released three days previously. After the performance, the Experience headed to America where they went on to take California’s Monterey Festival by storm. 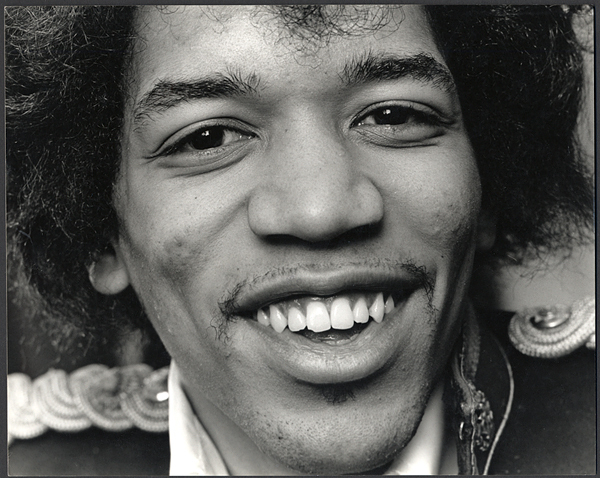 Swinging London had blessed Jimi Hendrix,and the USA was now eager to embrace one of Seattle’s most famous sons.